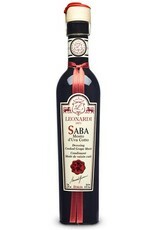 Saba Mosto d'uva 250ml - Miam! 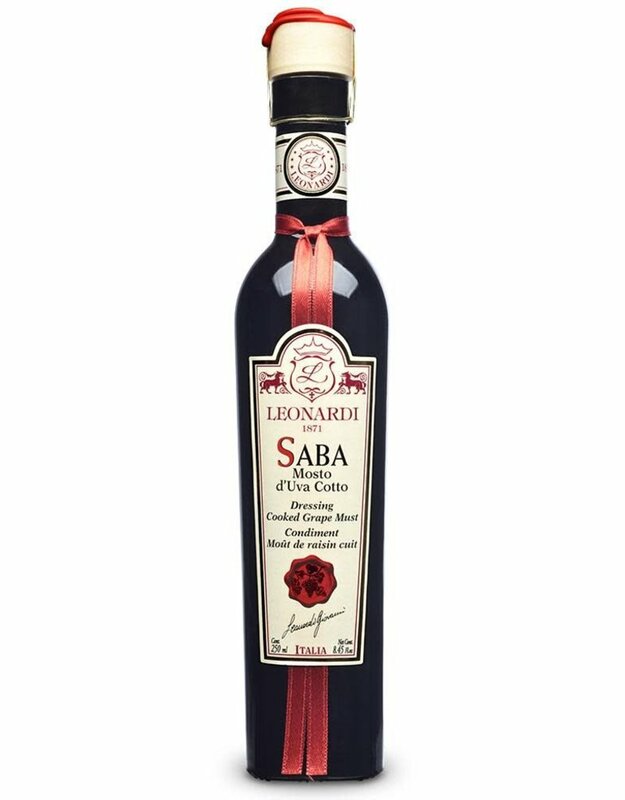 Acetaia Leonardi's Saba is a unique and versatile ingredient. The family's Trebbiano and Lambrusco grapes are grown in the 7 hectares surrounding the family home and acetaia. After a gentle crushing, the juice and pulp is coarsely filtered and the mosto (mash),is cooked (cotto) in an open copper vat at 175-200°F for a day or two, reducing it to about a third the volume. The concentrated mosto cotto is then cooled and placed in large oak casks which were previously inoculated with a "mother vinegar", a batch of vinegar alive with a culture of aceto-bacteria. The Saba will stay in the casks for almost 4 years, giving a deep complexity to the Saba, without converting it to vinegar.